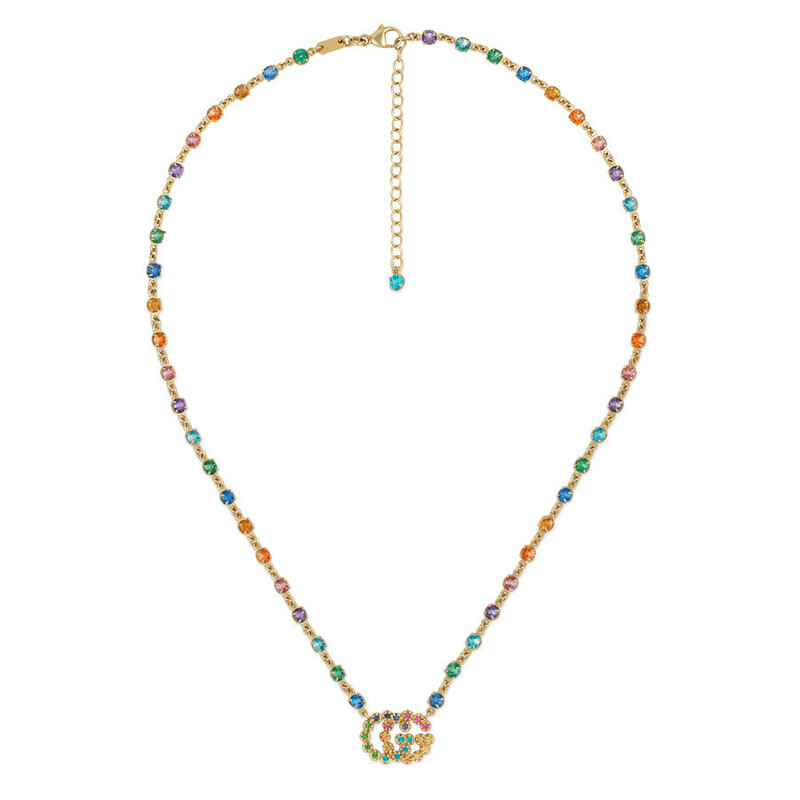 The colors of the rainbow are represented on this multicolored gemstone necklace from Gucci's GG Running collection. Crafted in 18K yellow gold, a mix of quartz, sapphire, topaz and tsavorite gems adorn the double G pendant and embellish the chain with lobster clasp closure. The piece can be worn at 14.5" and 16.5" lengths. This Gucci pendant necklace will brighten up your look and your day!